Written for Christmas 2013, and published line-by-line in the twelve days leading up to Epiphany. It probably helps to know that Smoke had a regular “Pigeons in Puddles” feature, in which pigeons were photographed in puddles (or spotted in puddles and photographed, to be precise – no pigeons were placed in puddles for artistic purposes). 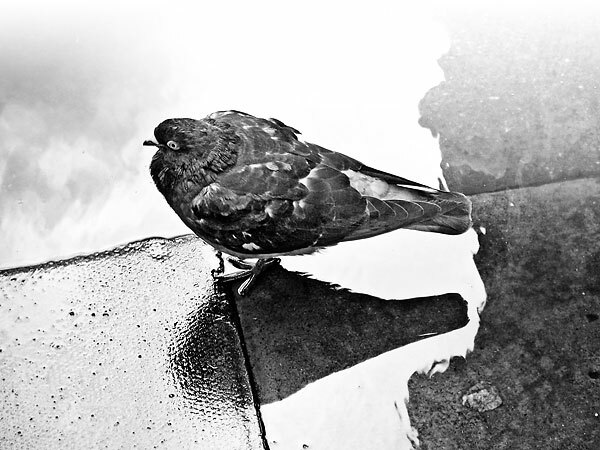 AND A PIGEON IN A PUDDLE!